Opatija is located in the Kvarner Bay, at the foot of the Mount Ucka and some 15 km from Rijeka, Croatia's third largest city. The centre of the Riviera, Opatija is surrounded by numerous small towns and villages, from Volosko to Lovran, connected by a seafront promenade Lungo mare. Opatija is very easy to reach; this Mediterranean oasis is now closer to Central Europe than ever before thanks to its network of new roads. You can, of course, choose other means of transport - a train station, airports and harbours are easily accessible within a 40 kilometre radius. When in Opatija, the feel of the 19th century is everywhere and amongst grand hotels with elegant facades you can easily visualise past visitors from Austria’s Hapsburg dynasty, such as the Emperor Franz Joseph, or perhaps famous artists like Isadora Duncan, or a long list of world dignitaries who have over the years chosen this gem of Croatia’s Adriatic coast as their holiday destination. 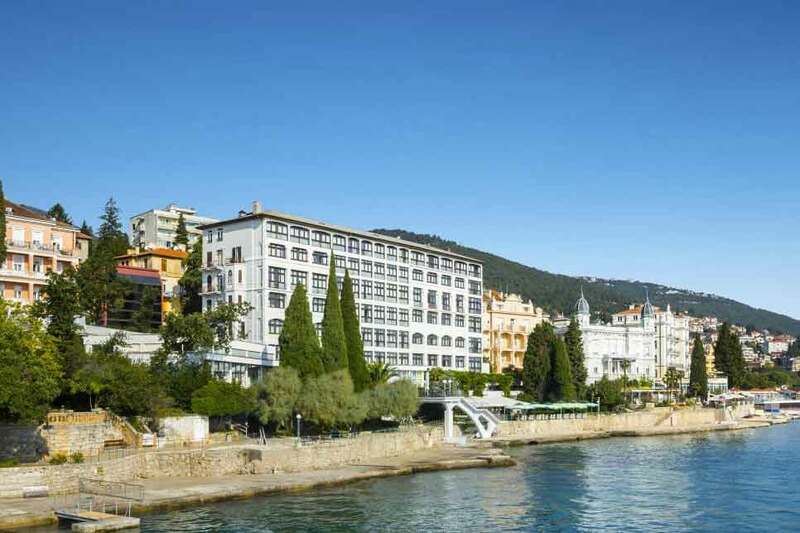 And what Opatija has preserved and certainly has today is a holiday destination of elegance and style! Much of Opatija’s reputation as a holiday destination is as a result of the mild Mediterranean climate that its visitors have traditionally come to experience. The entire destination Opatija, of which the town of Opatija is at the centre of, and which stretches along Croatia’s Kvarner Gulf, typically offers clear blue seas, a Mediterranean summer and pleasant weather in the winter. In the past doctors would prescribe a trip to Opatija as a cure-all for a variety of illnesses, and on the back of this tradition the region has developed into a world-class wellness centre. 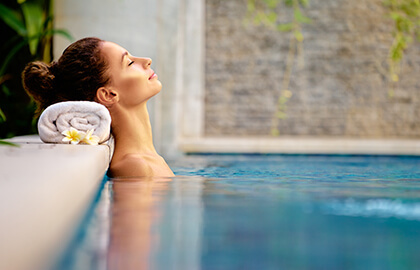 All of the hotels in the area offer a wide range of wellness packages – ideal for getting away from the stresses and strains of modern day life. Opatija’s long history as a resort means that wherever you go in the town you will see grand villas surrounded by palm groves and regal century-old hotels lining the steep wooded shoreline, together with gorgeous views of the Kvarner bay and the nearby islands of Krk and Cres. All types of accommodation are catered for. Interested in finding a hotel in Opatija? You won’t have to look far - there’s a wide range of 2 to 5 star hotels available to choose from and suitable for all income levels. 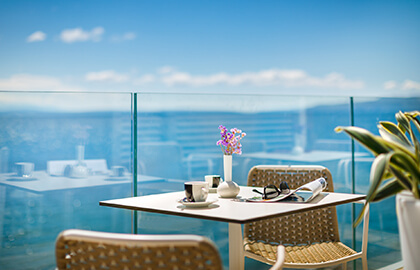 Budget hotels include the 3-star Hotel Istra Opatija and the 2-star Hotel Residenz Opatija, whilst the 5-star Hotel Ambasador offers elegance and style. Opatija will thrill you with its distinctive architecture that evokes the times that are long gone by, but whose traces are still present at every turn: the town's historic and modern hotels and villas surrounded by perfectly manicured parks and fountains, still today exude the 19th-century aristocratic charm. Immersed in the green slopes of Mount Učka, offering magnificent views of the blue Kvarner Bay with its islands, the hotels in Opatija are ideal to relax and recharge your batteries. 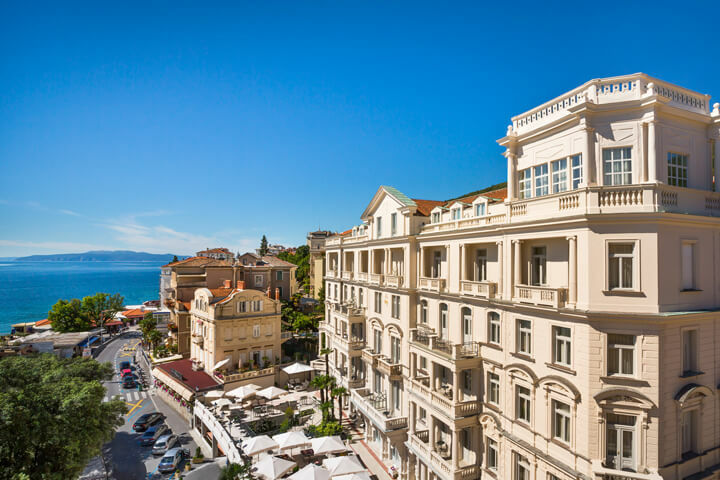 Opatija's hotels have a long history: the oldest among them, the Kvarner, was built in 1884 and marked the beginning of tourism in a town that in the years to follow was visited by numerous distinguished personalities from across Europe. Today, visitors from all over the world continue to come here, choosing from a wide range of accommodation on offer depending on their individual needs. Visitors to Opatija really have a great selection to choose from: the town offers a variety of hotels for every taste and budget. Visitors can choose among high-quality five-star hotels, family hotels offering specially designed programmes and amenities for families with children, seaside hotels, and hotels that put emphasis on revitalisation and offer perfect relaxation to suit every need. Whichever hotel you decide to stay in, you can rest assured that in Opatija you can relax as a prince or princess who in the past used to visit the town and enjoy its peace and quiet. Welcome to Opatija in summer! For an unforgettable summer holiday of your dreams, choose Croatia's famous tourist destination of Opatija. After enjoying the sun on the beach, you are invited to visit some of the numerous cultural events in town. In the summer months, Opatija becomes a Mecca for culture and the arts: multimedia events, film, literature, concerts and theatrical performances in the summer turn Opatija into a stage without boundaries between artists and audiences. For evening entertainment, we recommend visiting the most beautiful terrace in Opatija – the terrace of the Hotel Kvarner, which was built in 1884 as the first hotel in the town. The newly refurbished terrace hosts attractive musical and stage performances. The terraces of other hotels also offer a variety of interesting musical and entertainment programmes. 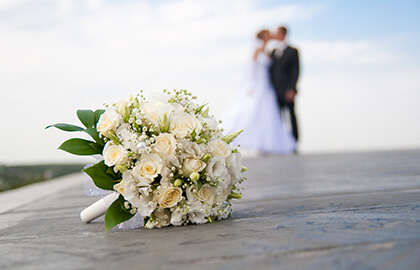 These include the Remisens Premium Hotel Ambasador, the Remisens Hotel Excelsior, the Remisens Hotel Marina, and the Remisens Premium Grand Hotel Palace. If you are a lover of jazz, then Opatija is the place to visit every year on the first weekend in July. Since 2003, at this time of year the town plays host to the Liburnia Jazz Festival, with a programme tailored to meet the expectations of even the most demanding audiences. The distinctive feature of this festival is the Jazz Boat, where you can enjoy your favourite music on a trip along the coast of the Riviera on warm summer nights. There are also numerous concerts on Opatija's terraces. The main programme takes place under a starry sky at Opatija's Open Air Theatre. 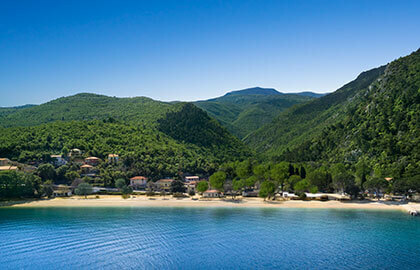 The peak of the summer season, July and August, are ideal for sunbathing on a beach where you can soak up the summer sun and relax body and mind. Surrender to the magic of the sea and visit beaches that offer daily entertainment in their bars, karaoke programmes and a wide range of excellent culinary specialities. In the evening, the town wakes up again, offering a lively nightlife to suit every taste. 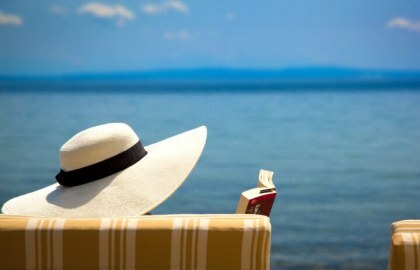 The relaxed, laid-back atmosphere continues throughout the summer – come to Opatija and enjoy the holiday of your dreams!